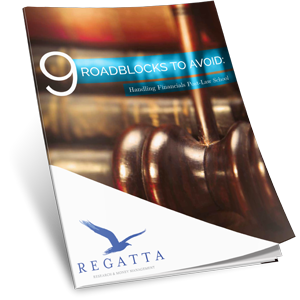 Regatta Research & Money Management was started by asking ourselves, “What type of firm would we want to do business with? What values would they have? What services would they offer? What best practices and processes would they implement? The answers to these questions crafted our value proposition. We built a firm based on integrity and trust. We do not act as stock brokers or insurance agents focused on selling products, but rather as a Registered Investment Advisor with a fiduciary duty to your interests. Our legal status as fiduciaries goes beyond simply the requirement that we act in our clients' best interests. It also means that we refuse to accept commissions or transaction fees, as we feel this creates an unacceptable conflict of interest. Instead, we charge a small percentage based on the value of our clients' accounts. If our clients make more money, we make more money. If they make less, we make less. Our business model creates an alignment of interests between both doing what is right for our clients and what is better for our firm in the long run. We are accountable to our clients - we say what we do, and do what we say. We help you reach your goals with tailored solution that meet your needs. We continuously monitor the market to help you navigate volatile market conditions while always searching for promising investment opportunities for our clients. We are committed to open communication, guaranteeing you a personal response to every call or e-mail withing 24 hours. We cultivate relationships based on mutual respect, and our advisors and clients enjoy working with each other. We provide access to best-in class investment managers. We specialize in implementing strategies to minimize downside market volatility. We stay up with the latest technology, market developments, and continuing education requirements. We also also provide comprehensive services to help our clients through every step of the financial planning process. We take pride in knowing our clients and providing custom tailoring during every step of our our systematic approach. Our clients can have confidence in our highly knowledgeable and skilled professional staff who are considerate of the stress investing in today’s market might have on the client. That is why we take an entirely hands on approach during the course of the client’s financial planning. Regatta has made many accomplishments over our years of doing business, including being featured on the Economic Report on Fox TV and CNN around the country. 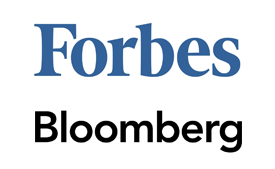 Regatta was named by Bloomberg’s as one of America’s Top Wealth Management Superstars. We have also been featured in Bloomberg, Money Magazine, International Finance Review, Kiplinger's, and Morningstar just to mention a few. We have also spoken or taught financial professionals and individual investors in New York, London, Singapore, Hong Kong, Warsaw, and Stockholm. Contact us today to learn more about how we can help you to achieve financial success.